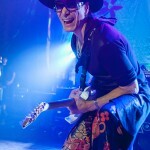 When you think of guitar greats like Jimi Hendrix, Jeff Beck, Jimmy Page and Joe Satiriani you can’t help but to include Steve Vai. 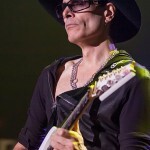 Steve has been playing a guitar since he was thirteen. 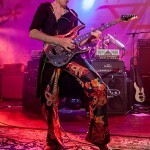 After attending the Berklee College of Music at the mere age of twenty he mailed Frank Zappa his rendition of Zappa’s “The Black Page”, the rest is guitar history. 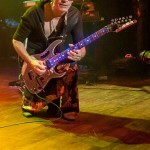 Besides Via’s successful solo career he has played with Frank Zappa, David Lee Roth, Whitesnake, Alice Cooper and Ozzy Osbourne to name a few. 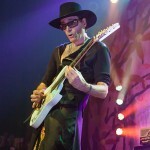 Steve Via is in the top of the food chain when it comes to guitar greats and in a class all of his own! 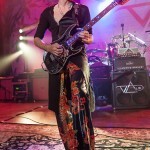 Friday night at The Royal Oak Music Theatre in support of his new album “The Story Of Light” Steve Vai put on a masterful performance of his craft. 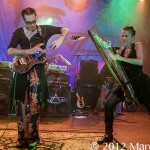 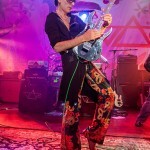 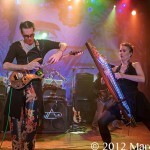 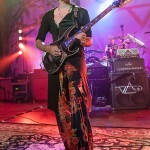 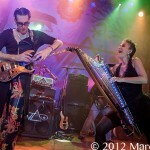 With a full band, including a electric harp player and fabulous light show Steve performed for two and half hours giving Vai fans a dose of electric sounds that came from his soul. 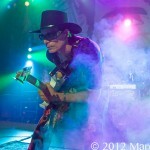 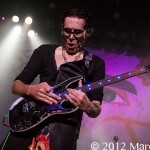 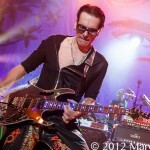 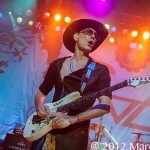 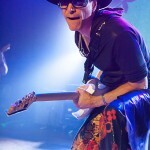 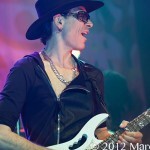 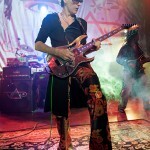 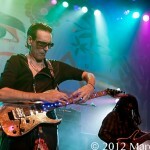 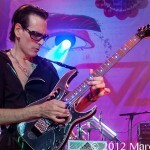 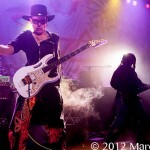 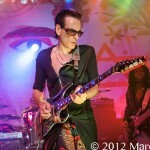 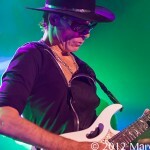 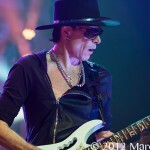 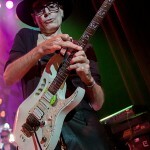 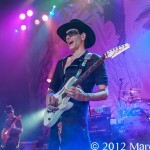 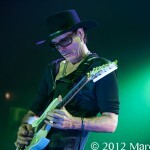 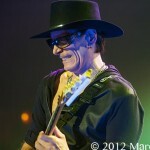 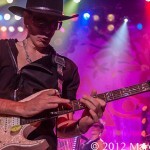 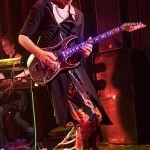 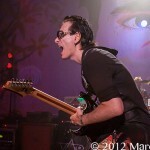 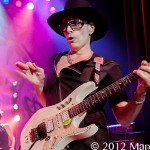 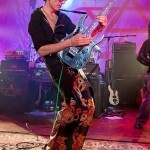 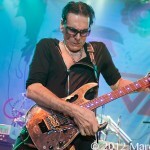 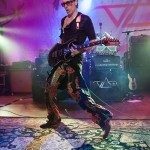 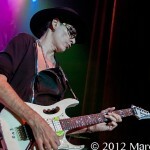 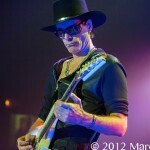 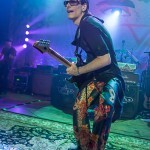 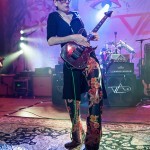 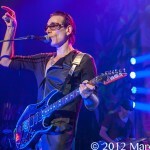 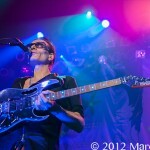 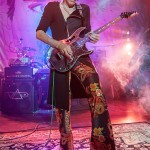 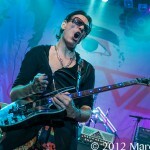 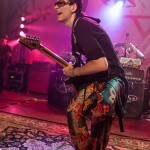 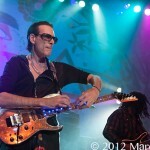 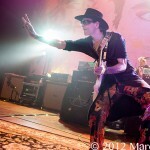 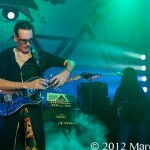 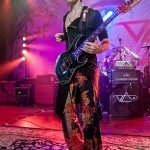 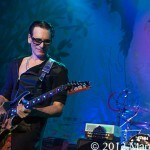 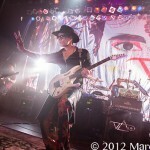 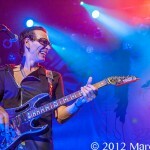 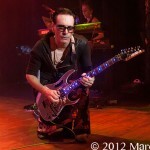 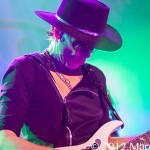 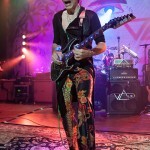 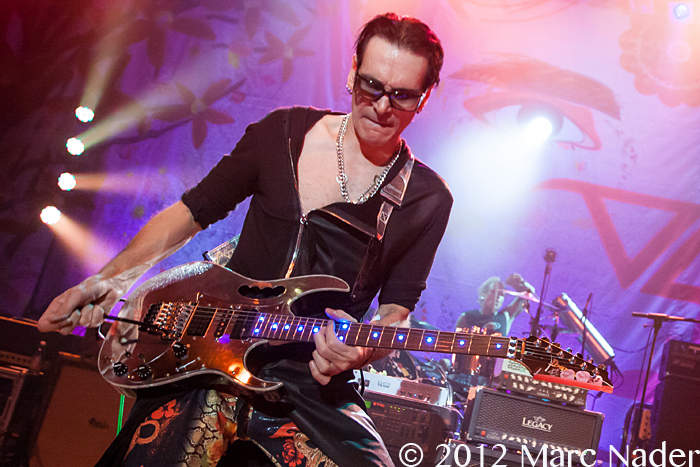 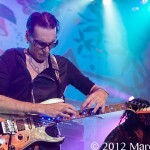 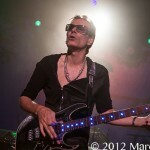 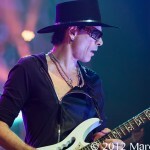 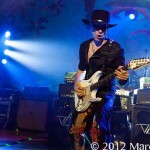 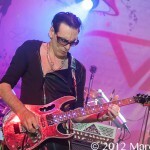 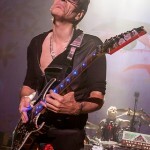 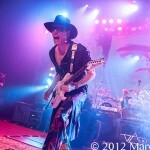 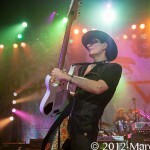 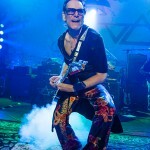 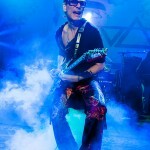 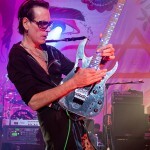 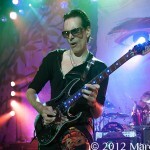 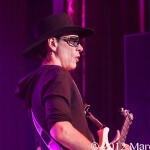 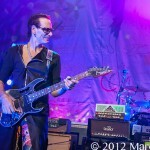 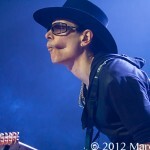 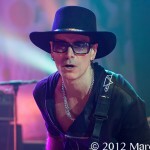 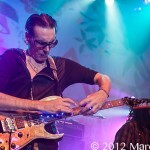 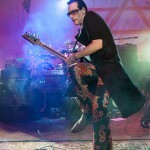 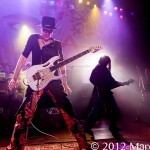 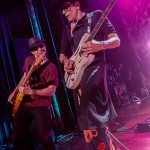 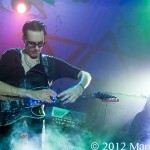 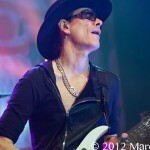 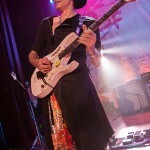 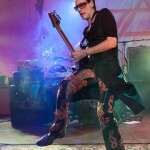 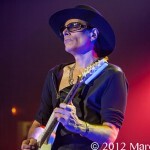 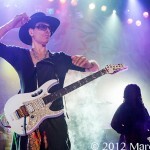 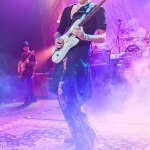 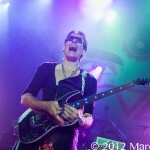 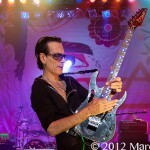 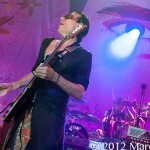 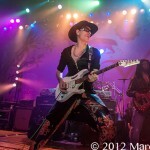 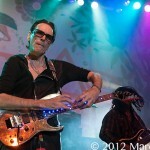 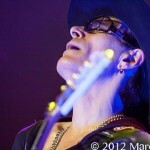 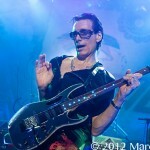 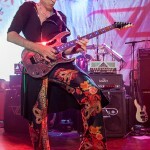 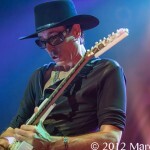 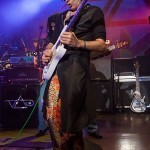 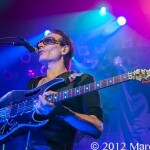 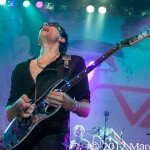 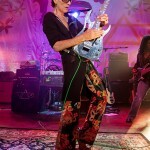 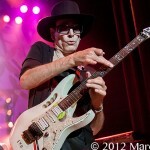 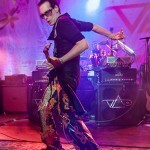 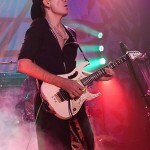 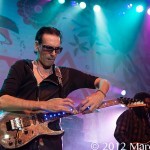 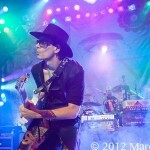 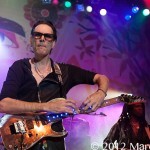 Steve Vai is a legend and his guitar playing will not only consume your ears, it will entrance your mind.